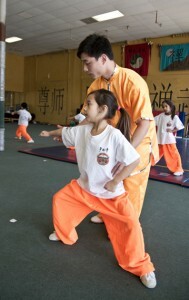 Our Shaolin & Longfist (performance Wushu) coaches have expert training in Shaolin and Longfist and specialize in weapons as well as open hand forms and special performance techniques and requirements. Dasifu regularly brings in new coaches from Chinese Wushu training centers and universities where technique standards and dedication requirements are exceedingly high. Often these top notch strdents come from the Beijing Wushu team, either as former competitors or current assistant coaches. The coaches provide expert training in the physical regimen and basic aspects of forms in the Shaolin class for both young and older children as well as for the adult students. The coashes also assist to some extent with the San Da classes when asked (most often led by the Grandmaster of the school himself). Dasifu (Grandmaster) usually teaches fine details of technique to all students as he oversees the progress of the classes. Dasifu also personally teaches the San Da (internationalized sparring), Qi Gong (breathing moving meditation), Taiji (internal combat arts) and Tong Zi Gong classes on a regular basis, as well as occasionaly taking on private classes with individual students for a special fee. Shi Yan Jian is a 34th generation Shaolin Monk. He began training, at the age of 8, at the Shaolin Temple Tagou Martial Arts School, located less than one mile from the Temple itself. With more than 40,000 students Tagou is the largest and most influential Kung Fu school in the world. 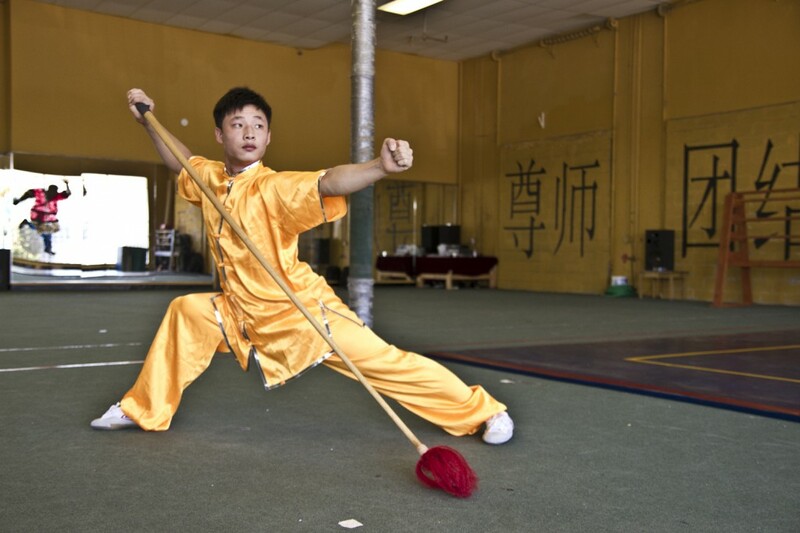 Shi Yan Jian excelled to the top 1% of his class and became a member of Tagou’s Elite Performance Team. As a member of the team he has been involved in a number of very high profile performances including the Opening Ceremony for the 29th Olympic Games in Beijing, 3 of CCTV’s New Year’s Galas (with over 70 million viewers) and several other major events. He was also one of 9 team members selected out of over 1,000 candidates to join an international Shaolin Performance Tour. He came in fist place, in the Shaolin Martial Arts National Championships in China, for his Bare Fist and Knife forms, and ranked near the top with several other weapons. He is also a Champion Fighter in his weight class.